Spiral Colour has a team on staff dedicated to hoarding design and installation. 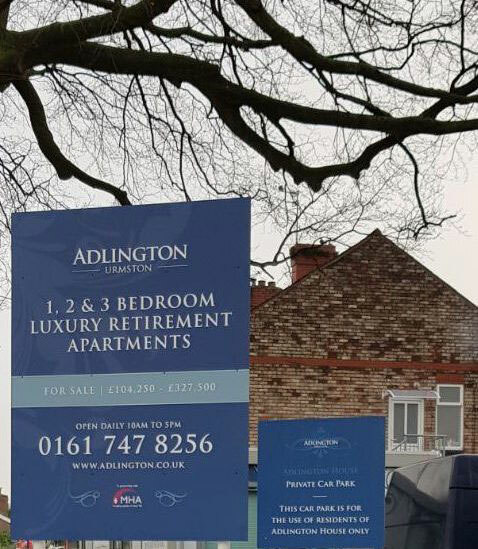 Adlington Retirement Apartments for Independent Living in Macclesfield provides 24-hour care and overlooks a nearby canal. 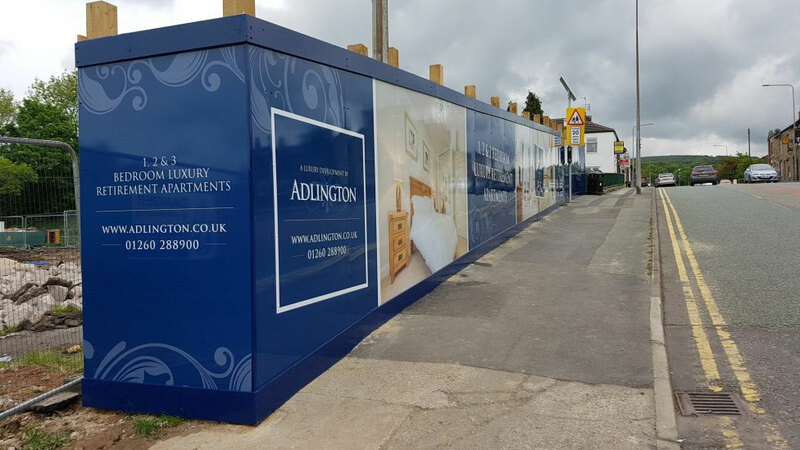 Hoarding designs require a site survey to ensure smooth installation, especially on sites with complicated topography. The meticulousness of the pre-installation process allows for a smooth installation that not only saves time but also potential costs for the client as well. The hoarding was constructed with Dibond aluminum composite panels using a Jetix 2m x 3m flatbed press. The size of the printer allowed for more than panel to be printed at the same time, further saving cost. An anti-graffiti laminate was applied to the panels to ensure longer resistance of the hoarding. The signage was installed in house prior to site installation. 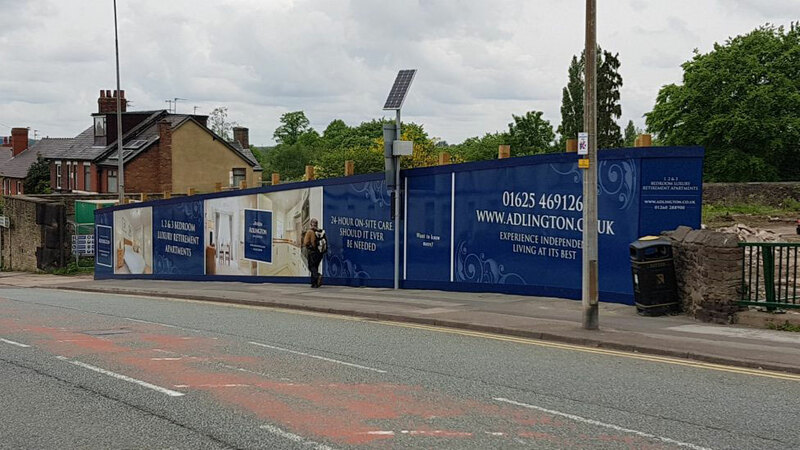 As with their hoarding designs, Spiral conducted a site survey to assess the correct measurements. The experts at Spiral have perfected their methodologies for hoarding and signage production to ensure the most cost-effective and best possible result.